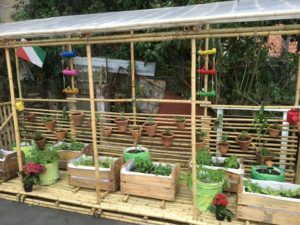 Located in “Rua 2”, in the heart of the favela Rocinha (Rio De Janeiro), the Volunteer Green House is the newest renovation project of the NGO founded by Barbara Olivi. 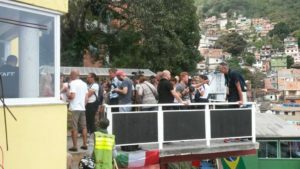 The unique infrastructure will be used both as an accommodation as well as convention, meeting and workshop center, open to the community of Rocinha with the main goal of getting the community interested on social and environmental issues. It’s an example of responsible and innovative architecture, energetically sustainable, found nowhere else in the favela. Volunteer Green House’s spearhead is the urban veggie garden built on the terrace of the Volunteer Green House, based on the same concept of little garden project at the preschool “Saci Sabe Tudo”. It’s another powerful tool for connecting the children and young people of Rocinha with the roots and origins of food through sowing, composting and caring for the soil. They’ll learn the basics of environmental education and to explore environmental issues while taking care of their own territory. A directive team office will be also available at the Volunteer Green House Project. 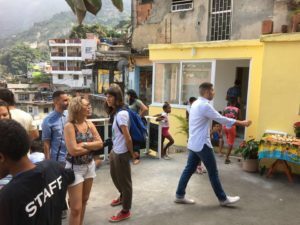 Due to the small space available in their three locations in Rocinha, il Sorriso dei miei Bimbi crew never have had their own working place before, and this will be a turning point for administration and coordination of the NGO. Il Sorriso del miei Bimbi’s Volunteer Green House has been made with the help of an exceptional italian-brazilian cooperation: architectural studio ARKTECTUS and ActionAid. 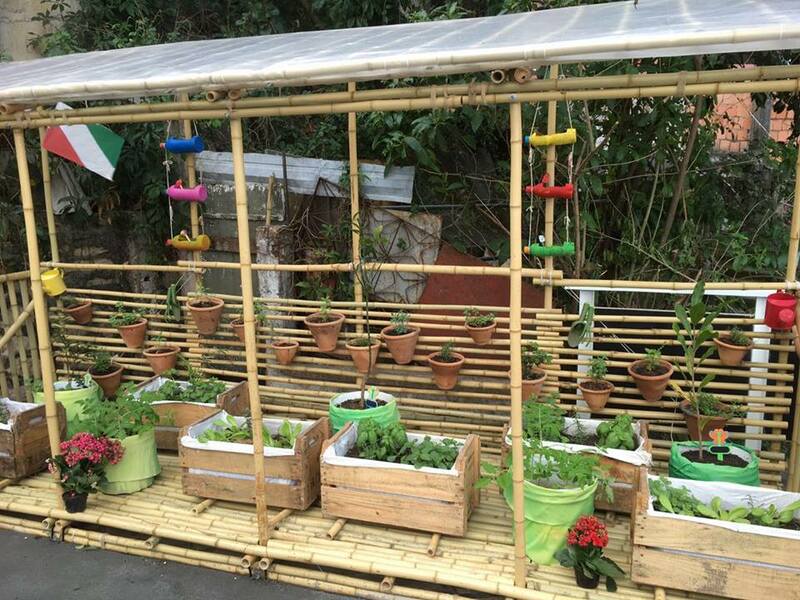 Volunteer Green House was one of the three projects the Olympic Italian Committee sponsored in the Cidade Maravilhosa for the Games. 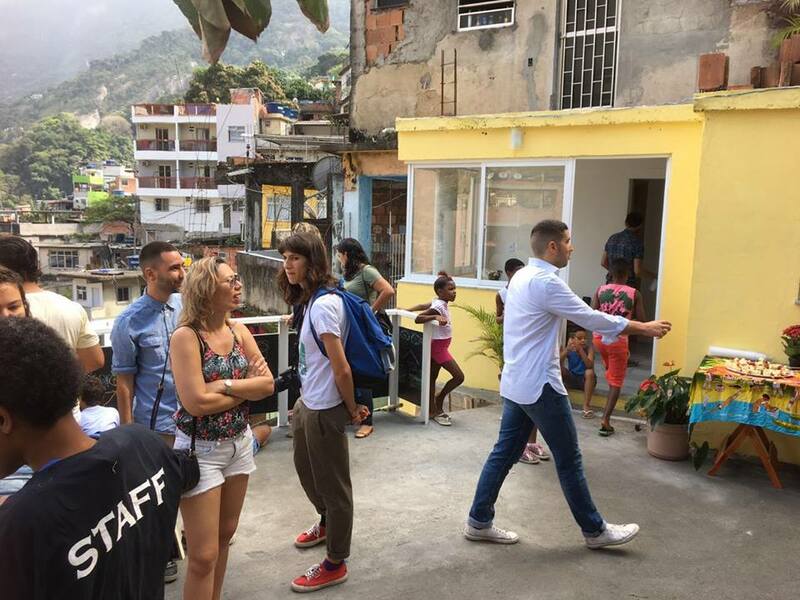 “Favela Verde”, a local association committed to convert the urban environment of Rocinha into an eco-friendly surrounding, built the bamboo frame of the urban garden, while the Italiana association “Gli Amici di Gio Carrozza” founded the furnishing of the House.